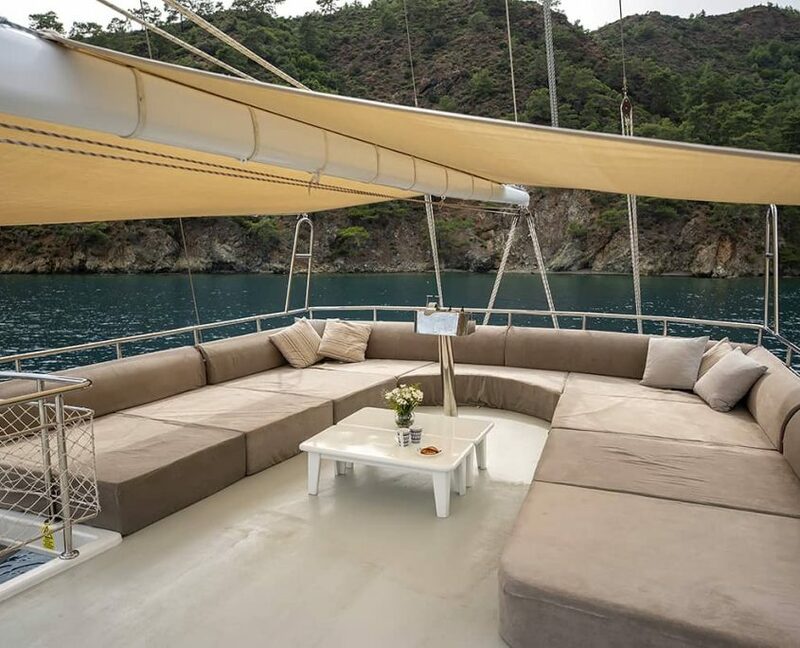 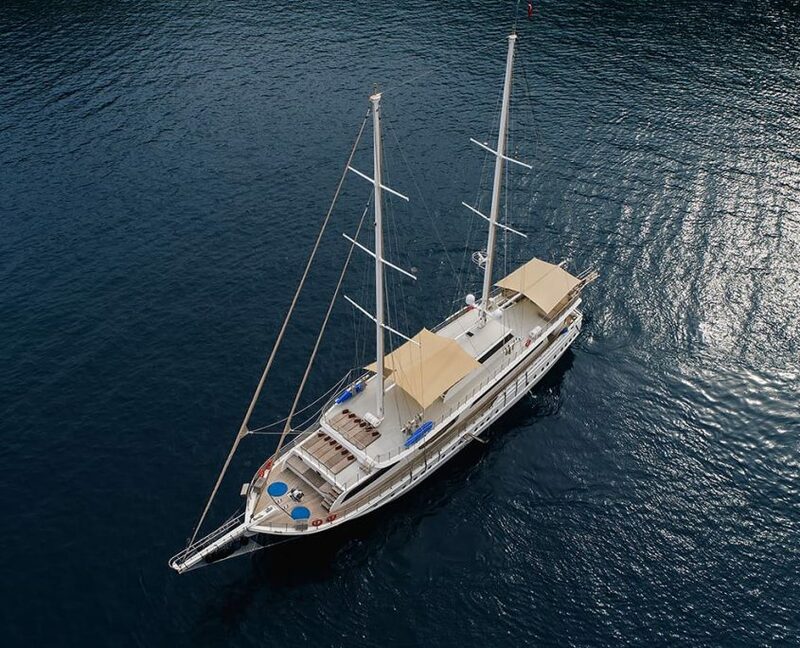 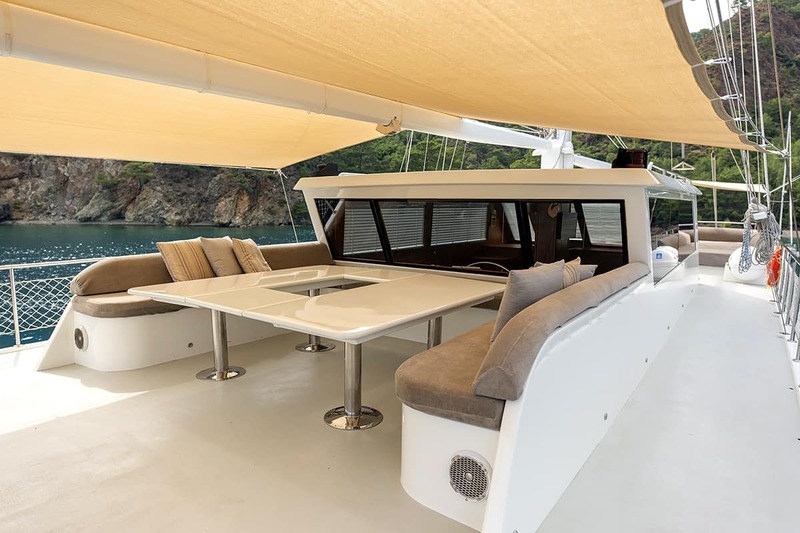 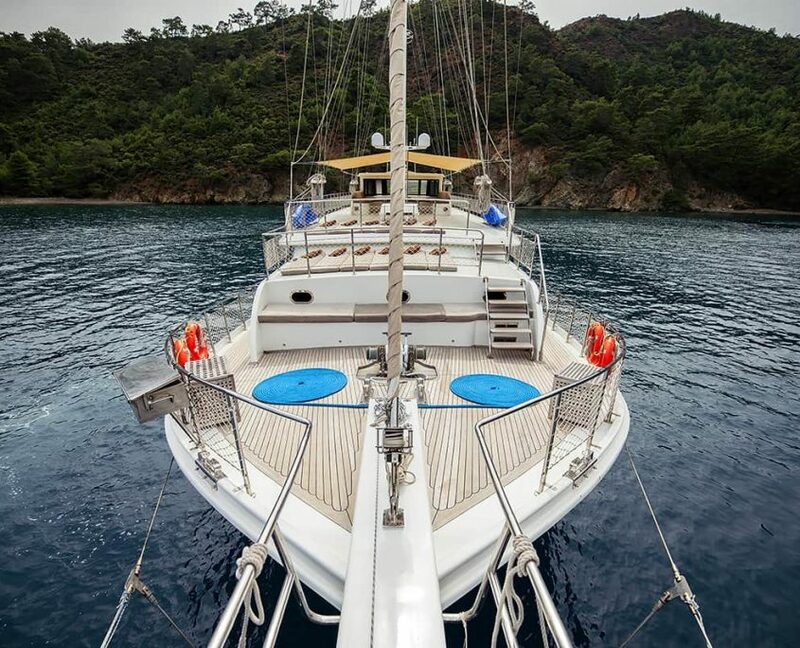 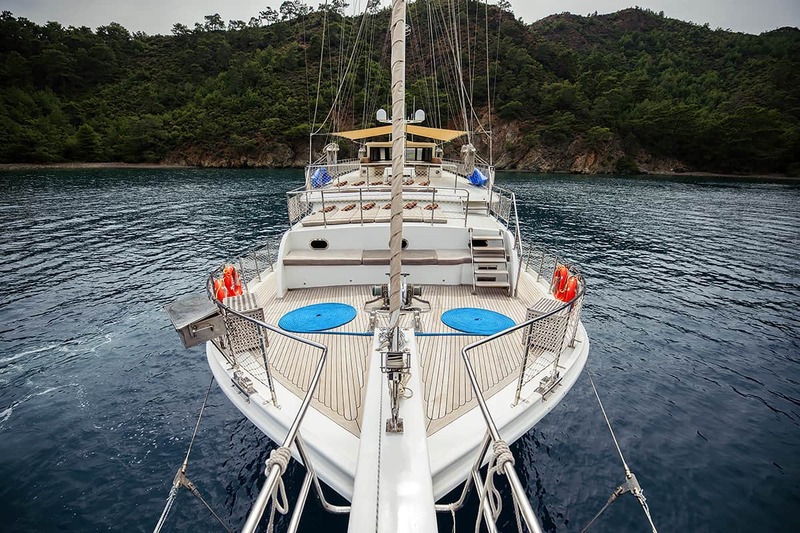 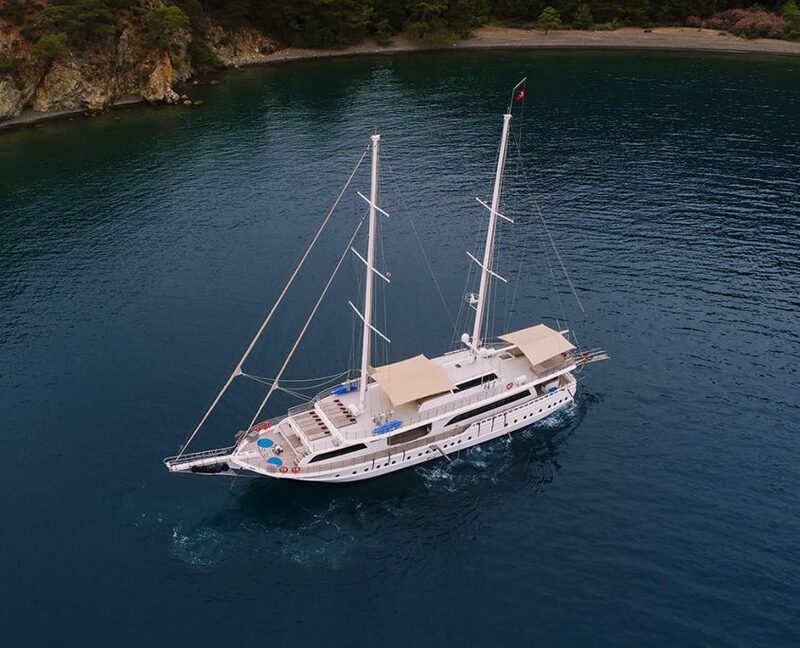 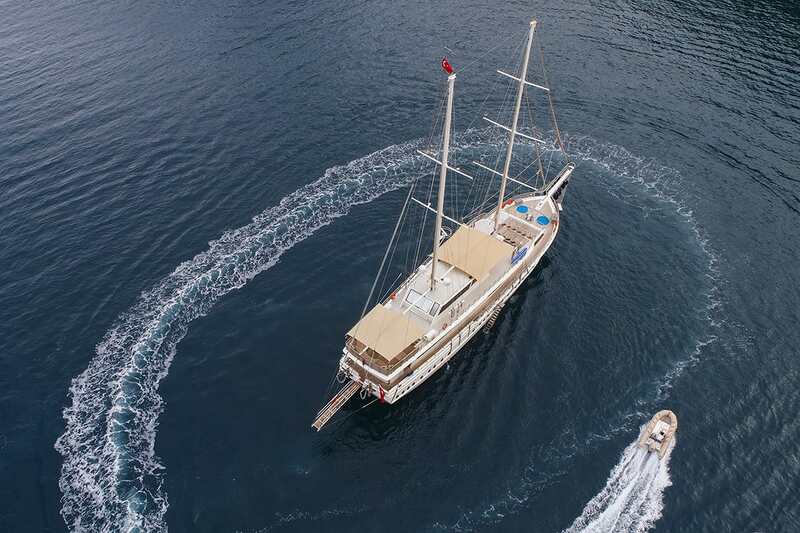 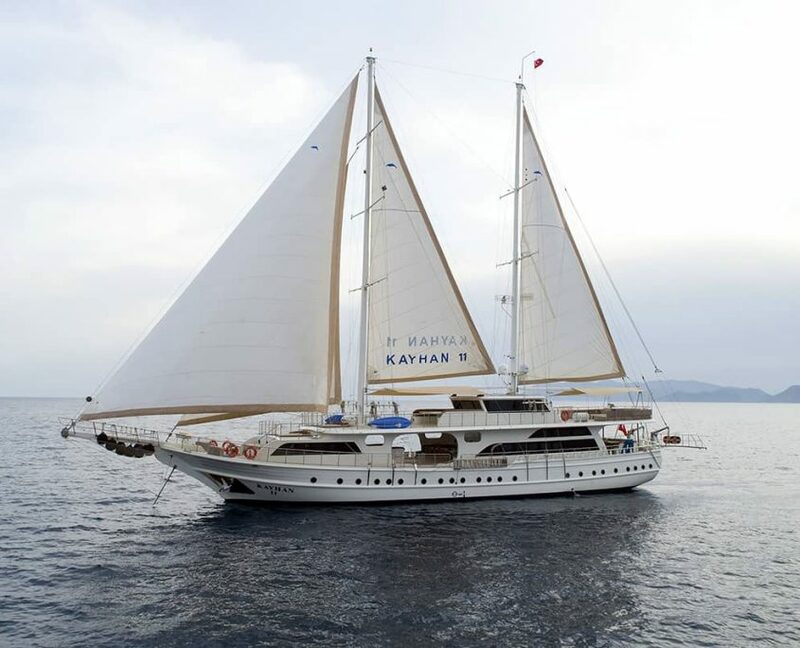 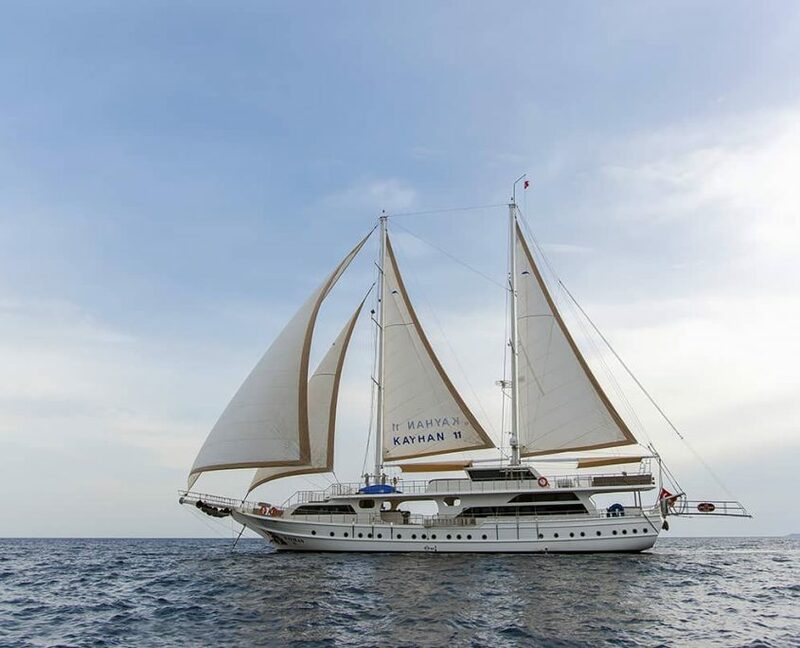 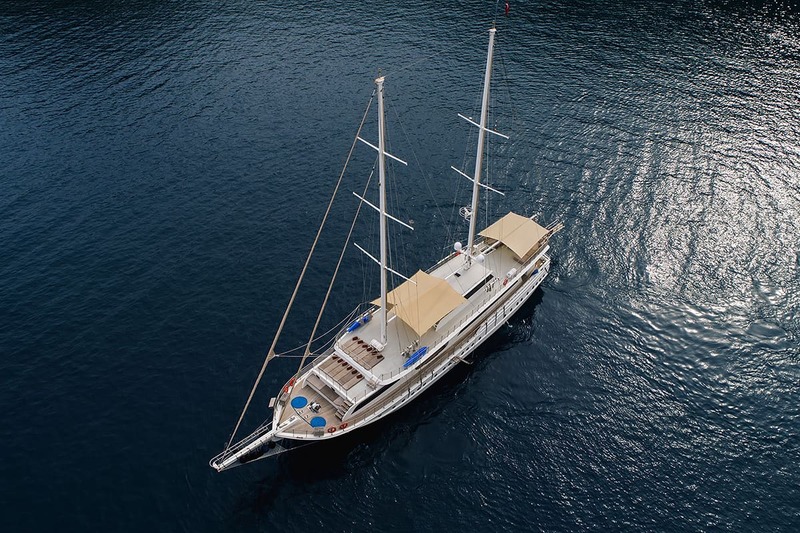 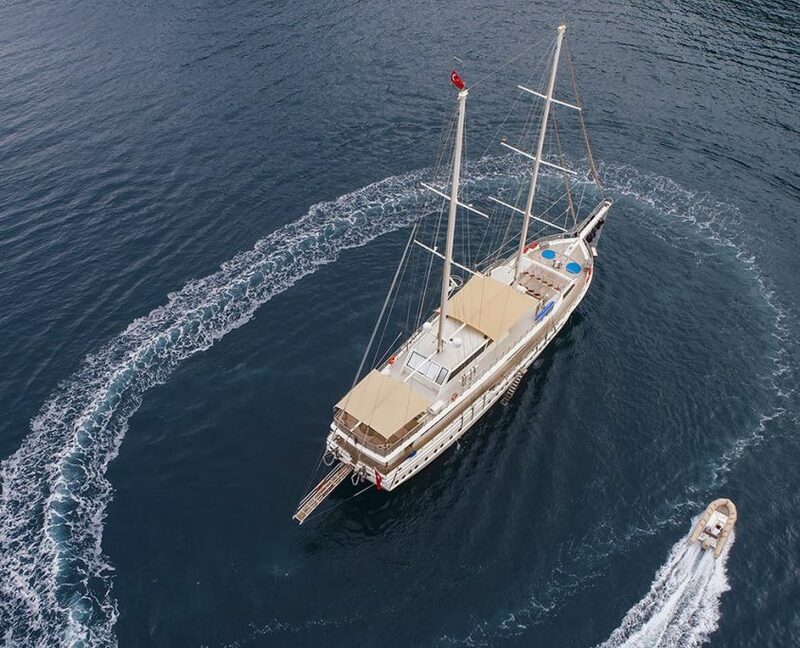 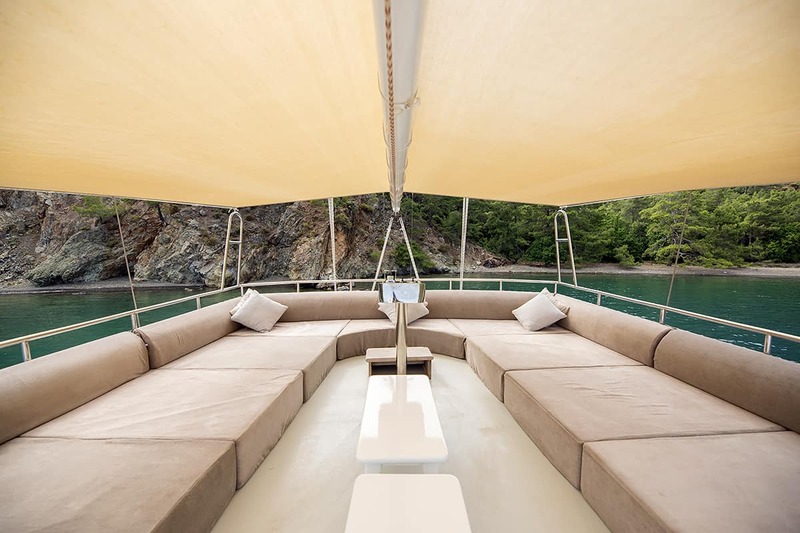 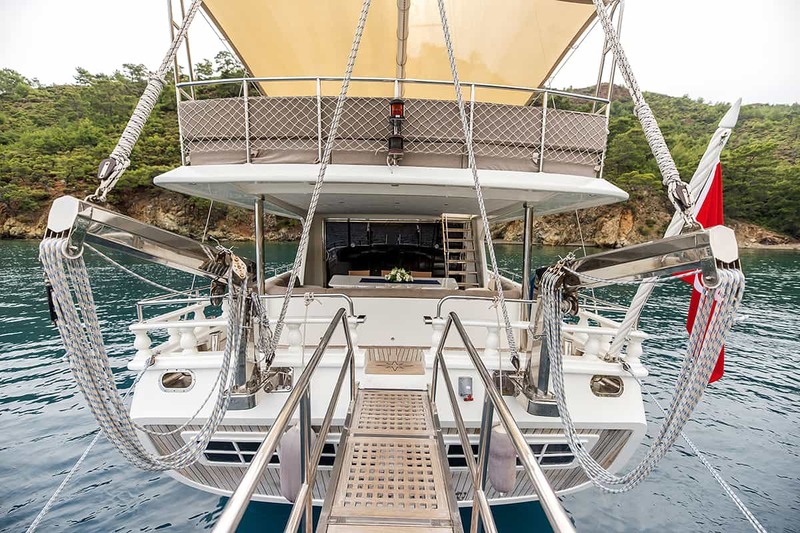 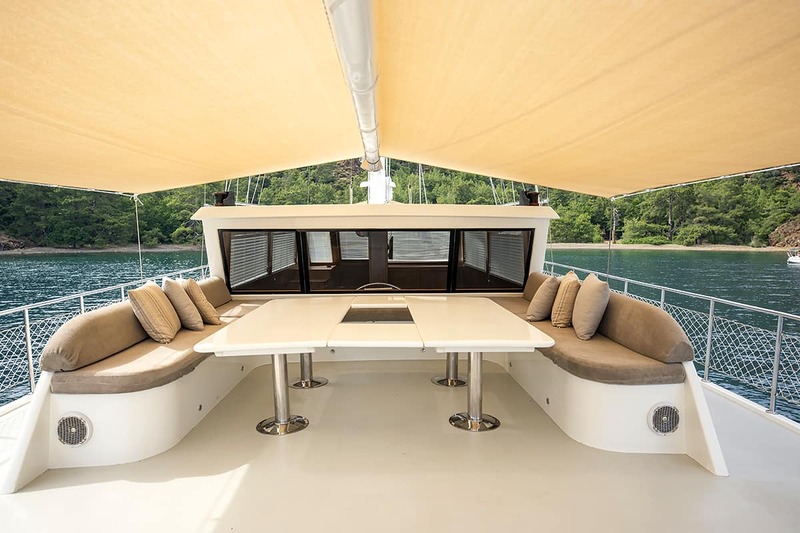 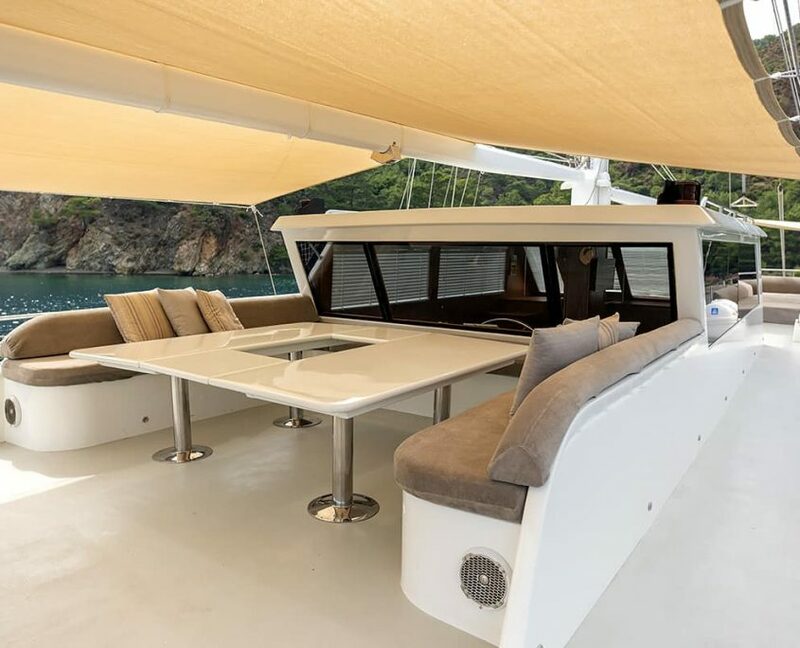 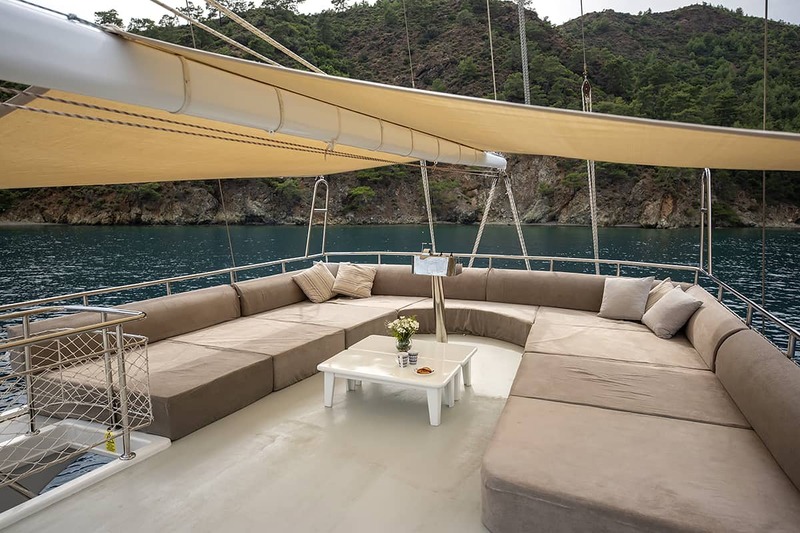 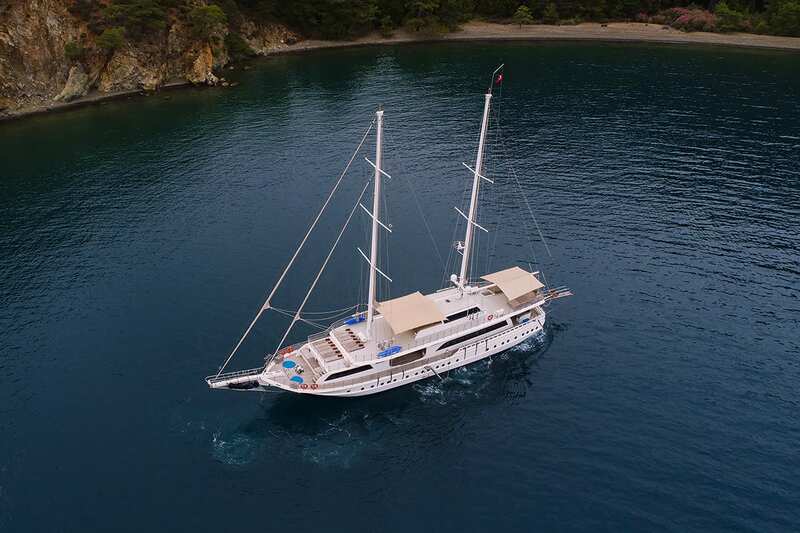 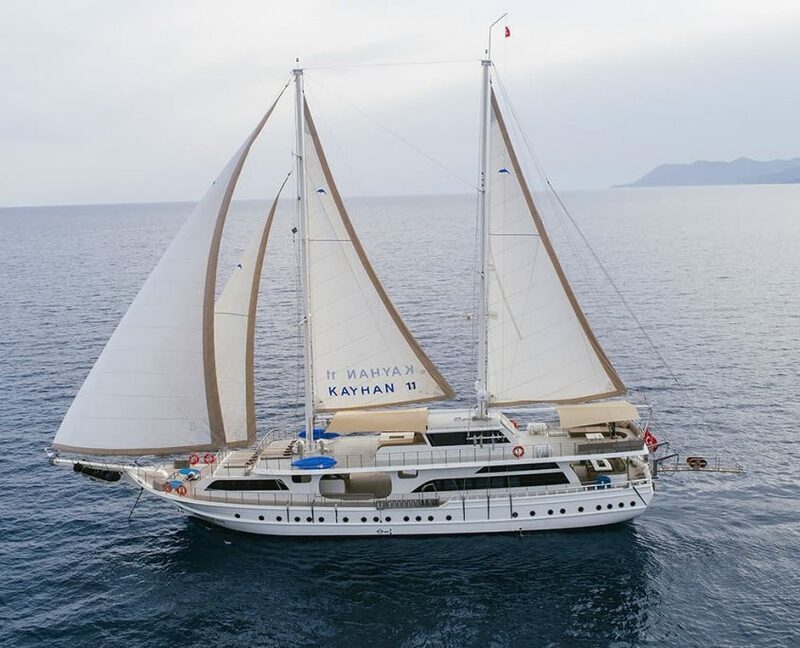 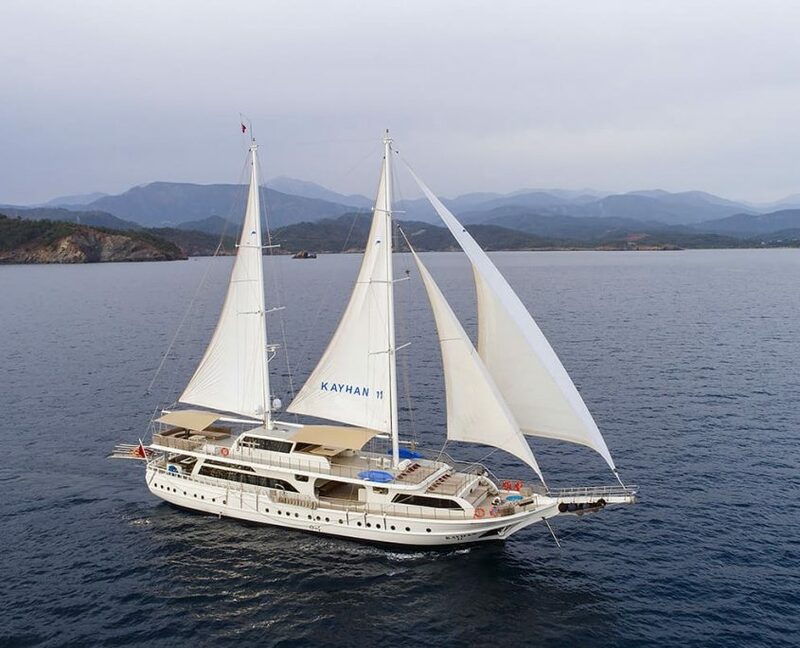 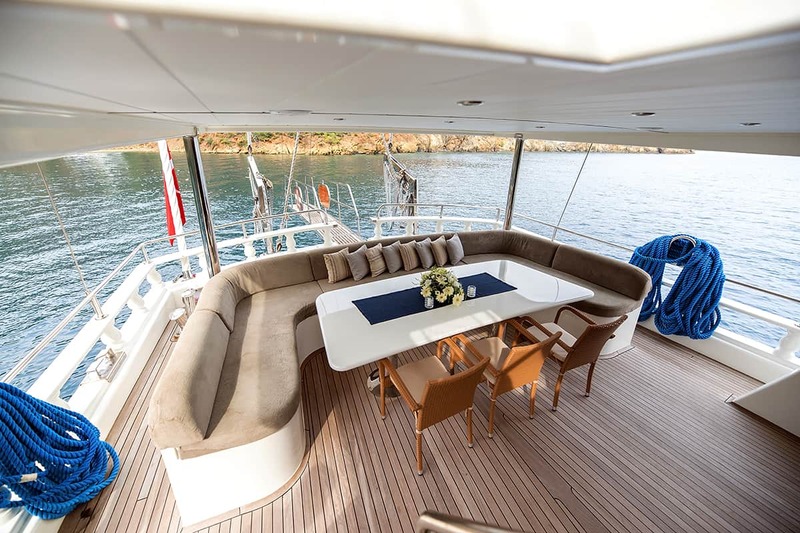 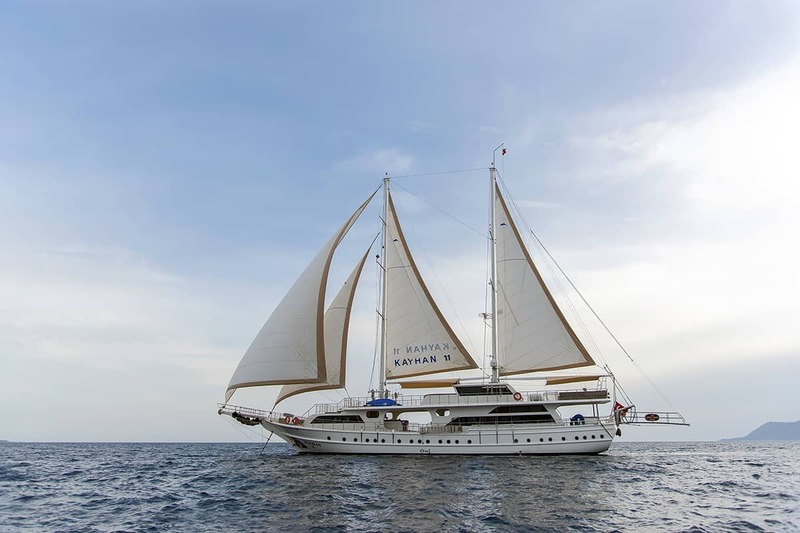 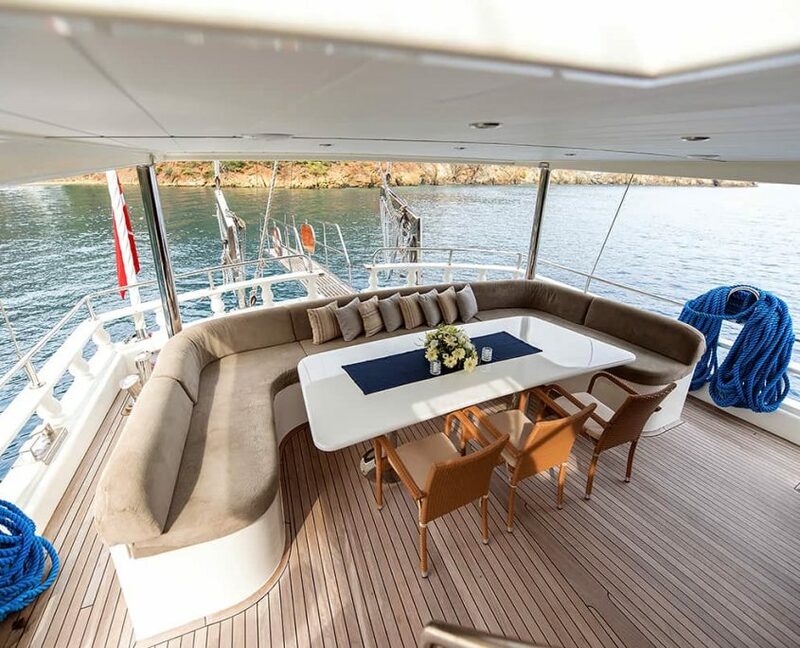 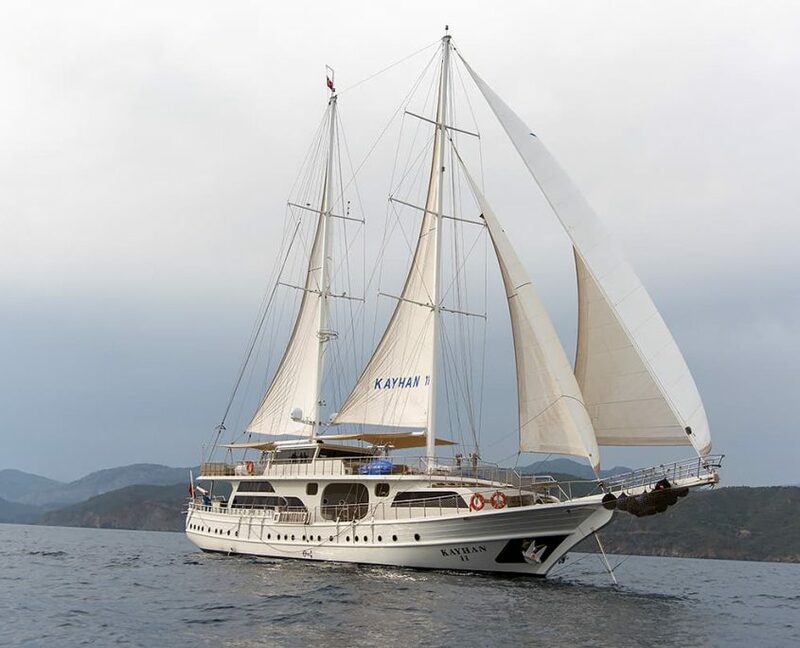 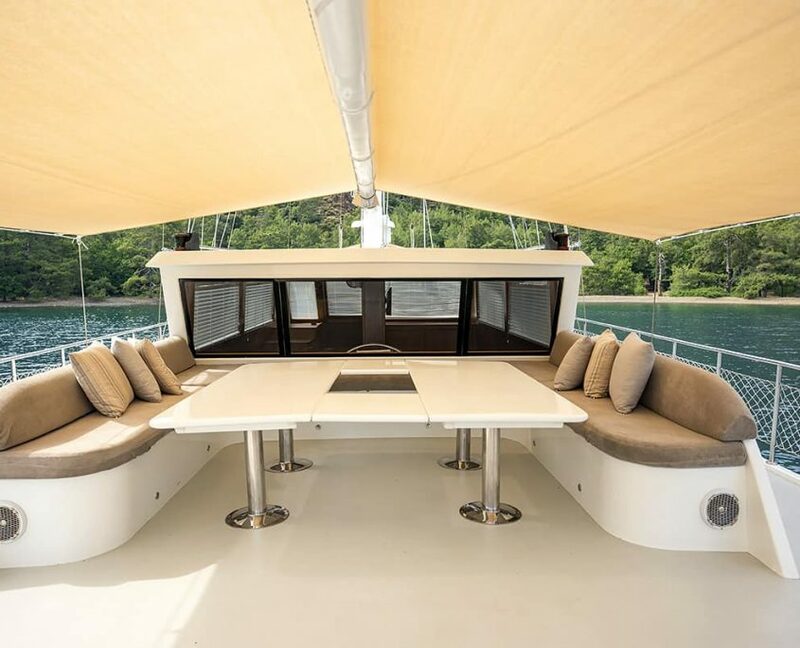 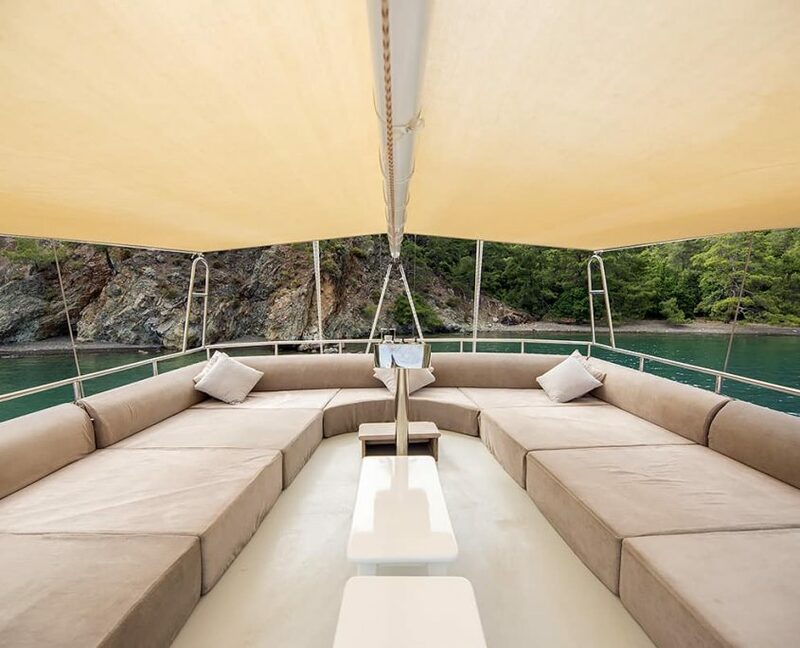 The traditionally built luxury gulet Kayhan 11 has with 34 meters generous outdoor deck spaces for a large group to enjoy eating, drinking and sunbathing on an enjoyable cruising holiday. 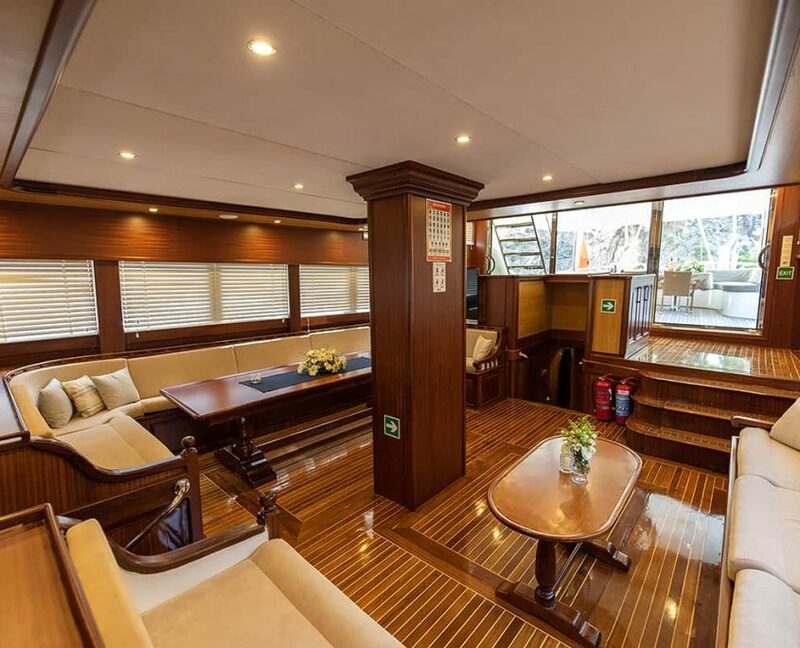 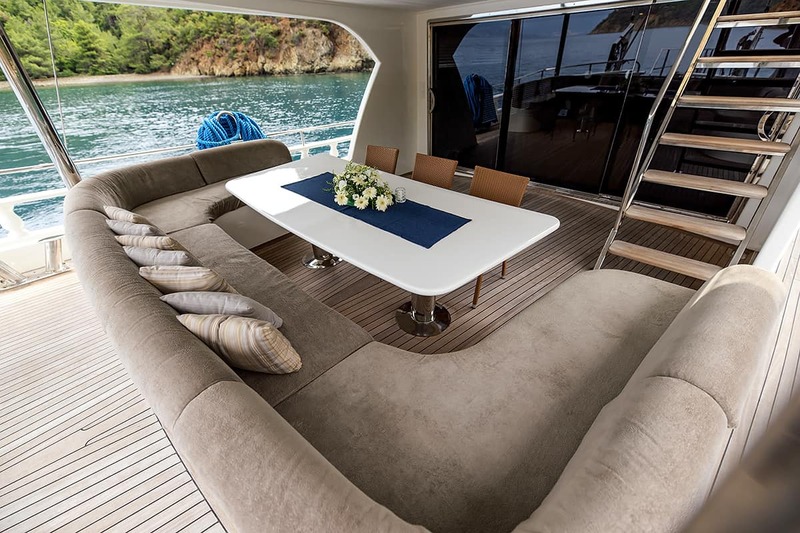 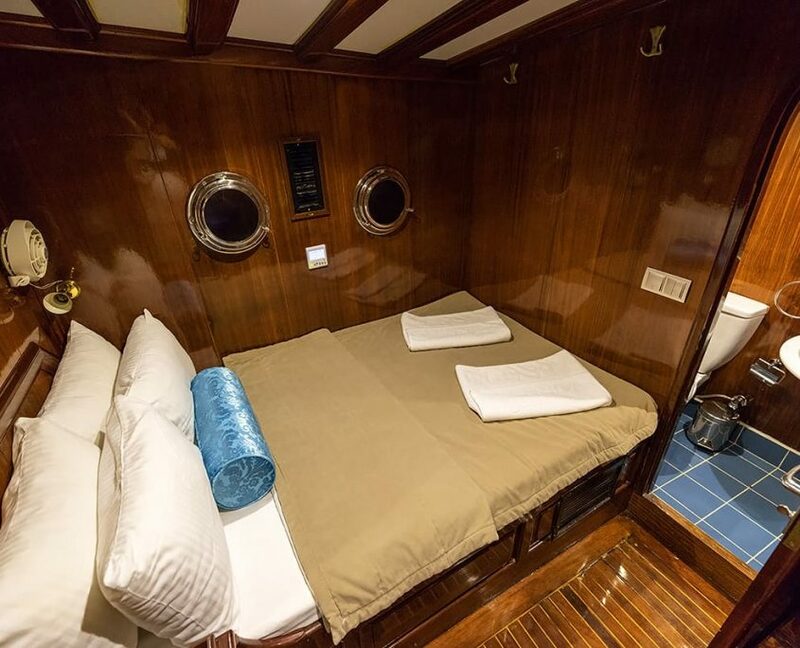 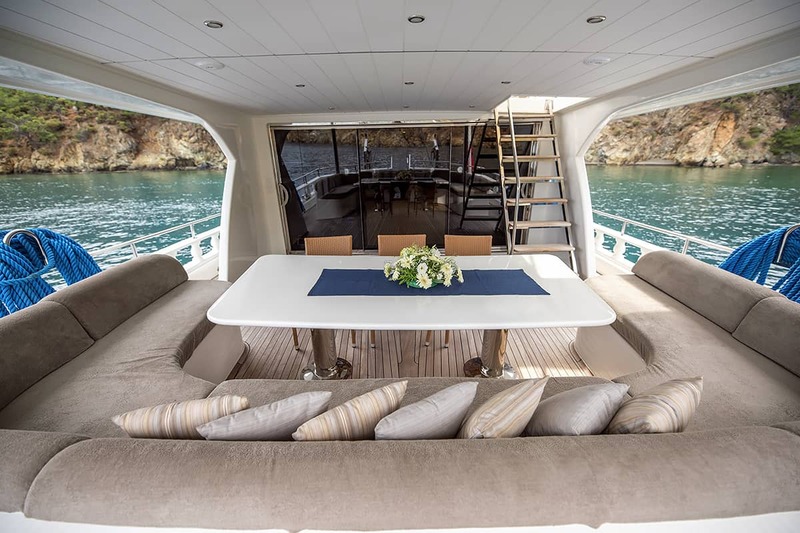 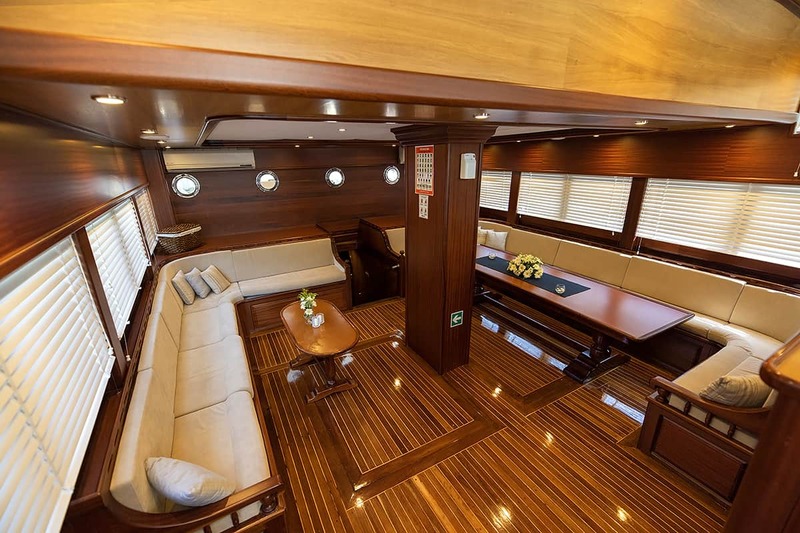 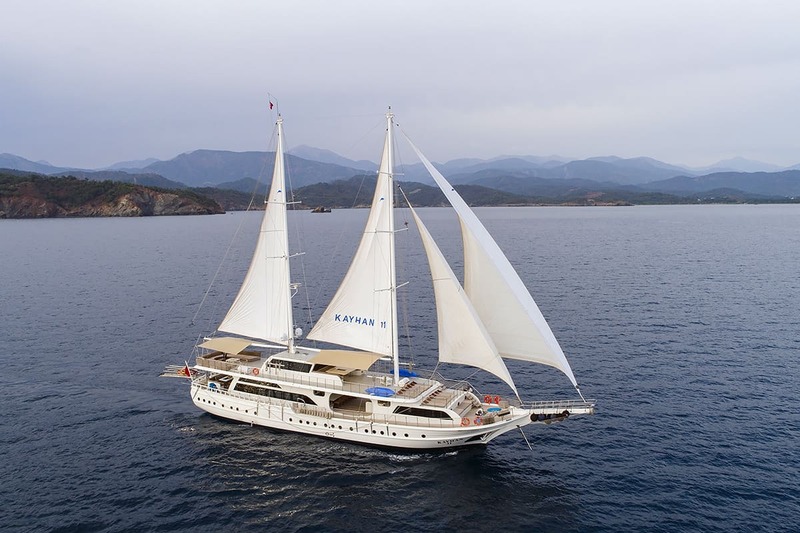 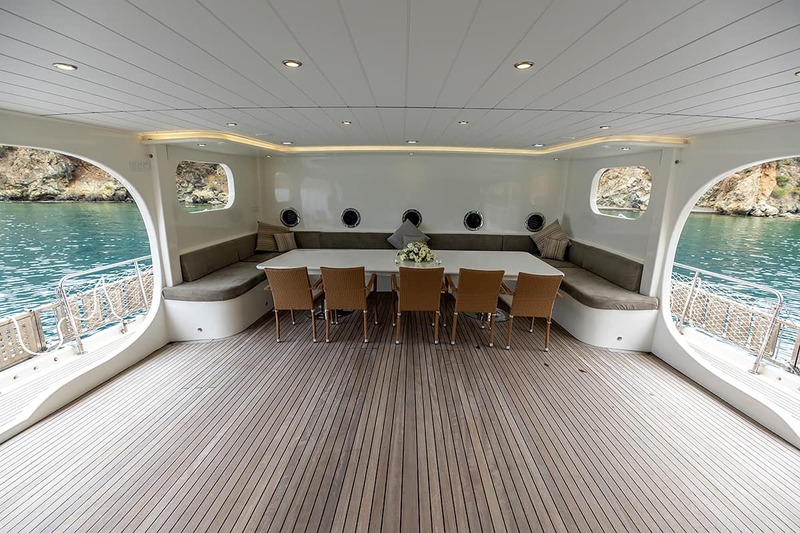 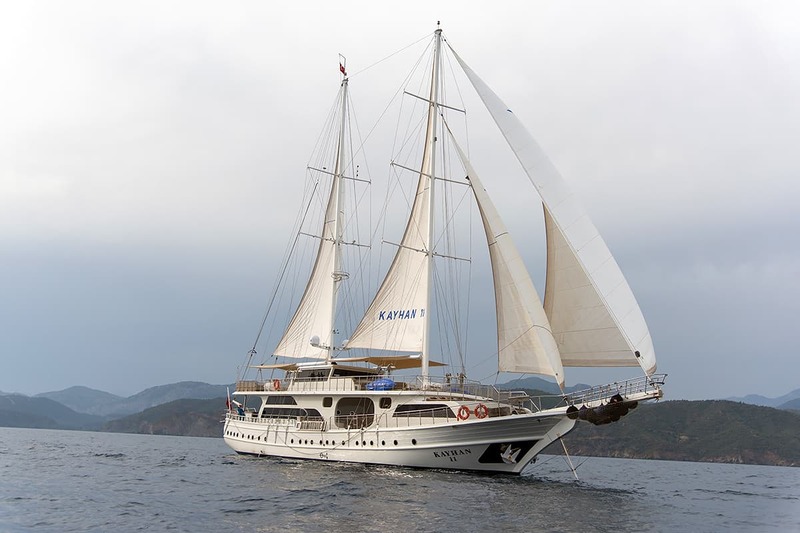 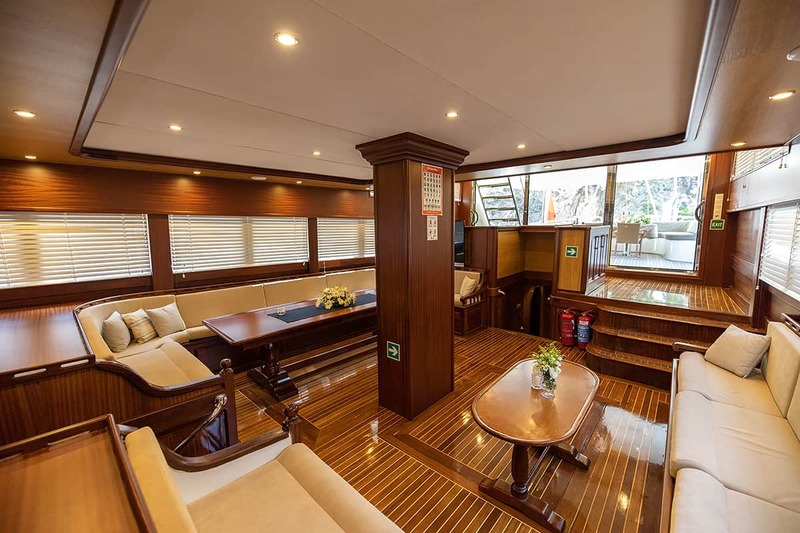 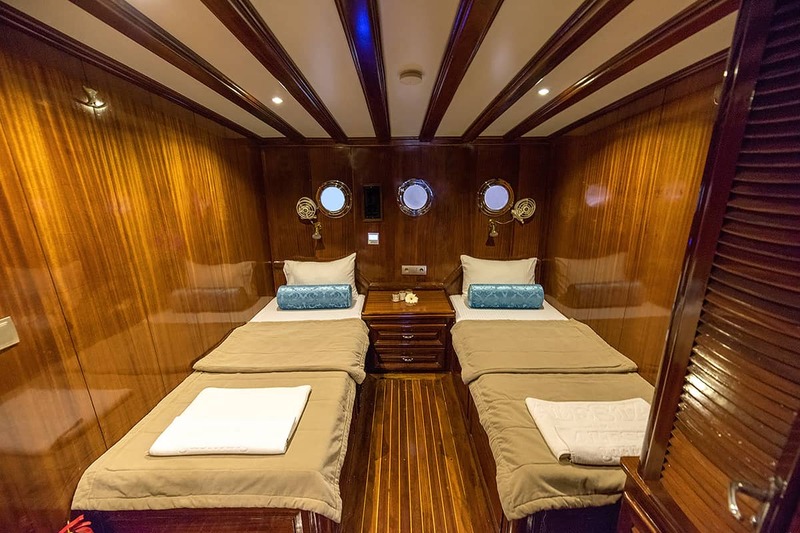 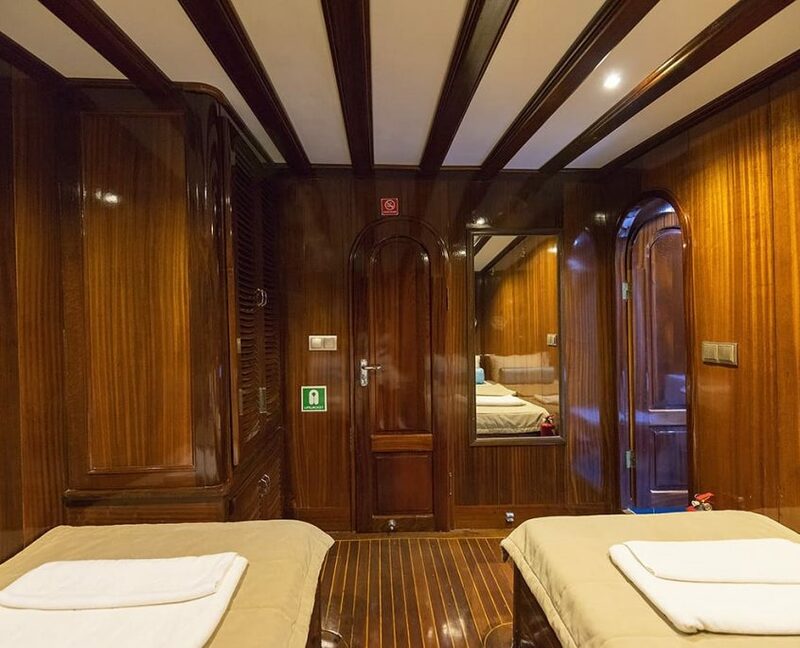 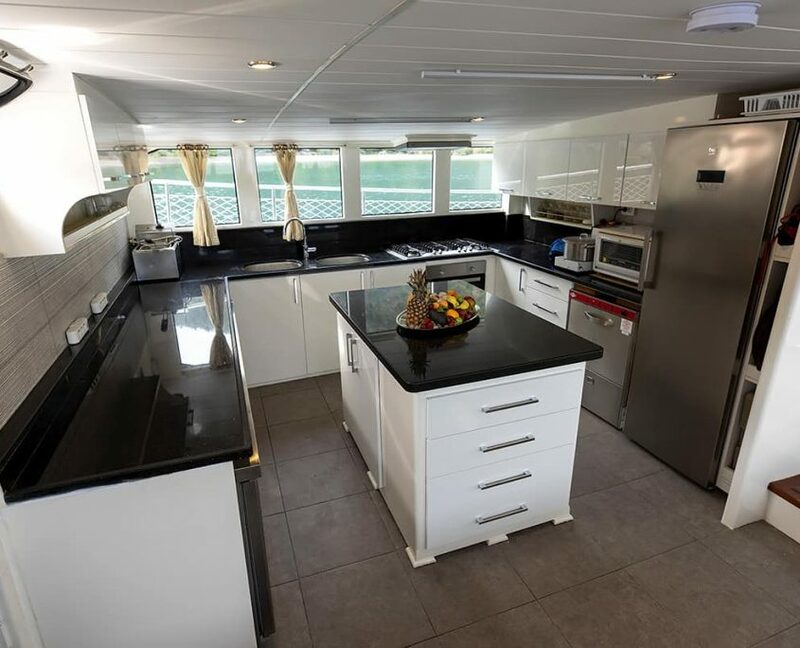 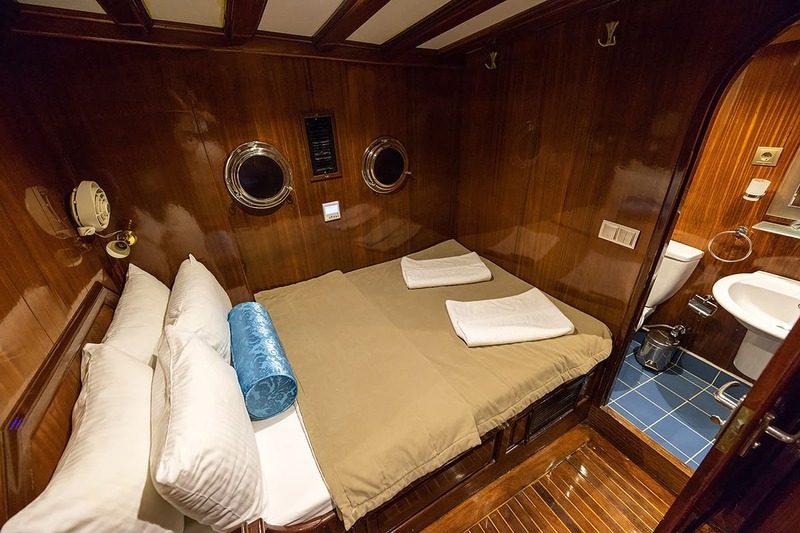 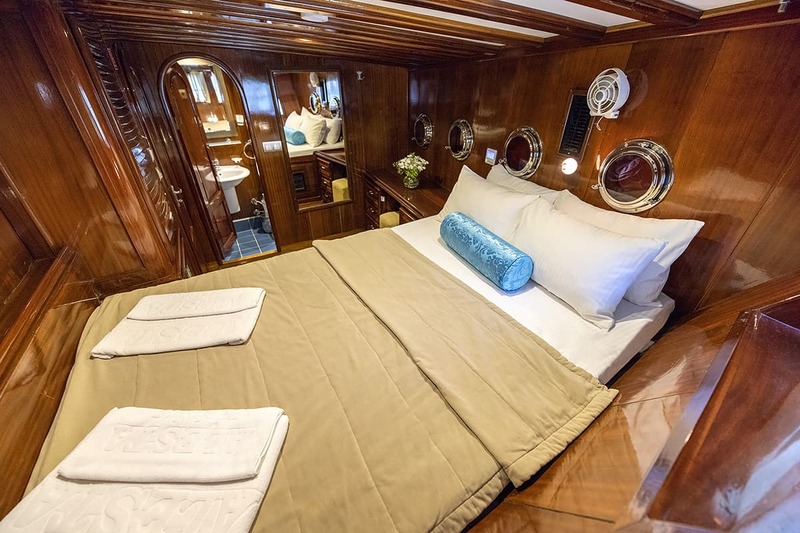 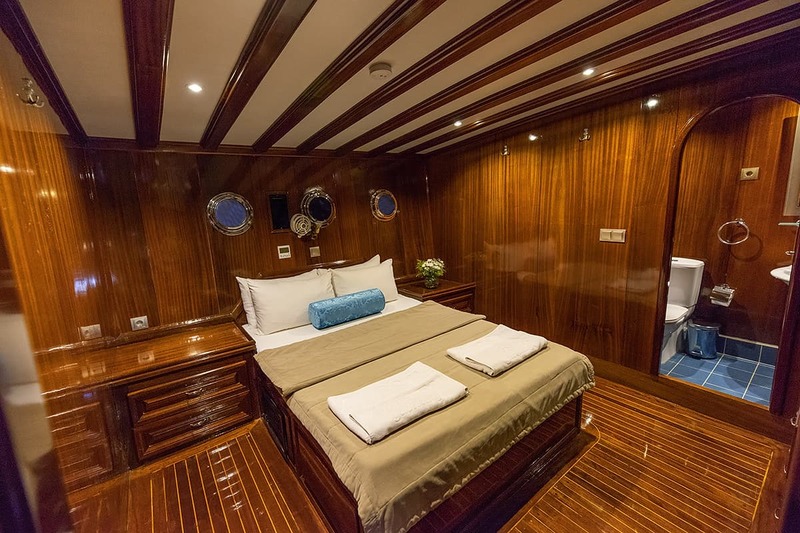 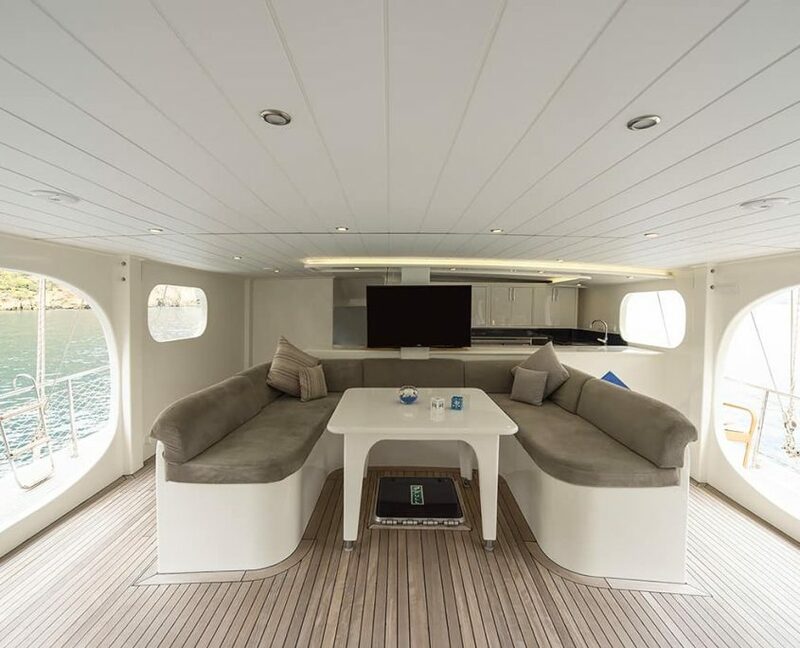 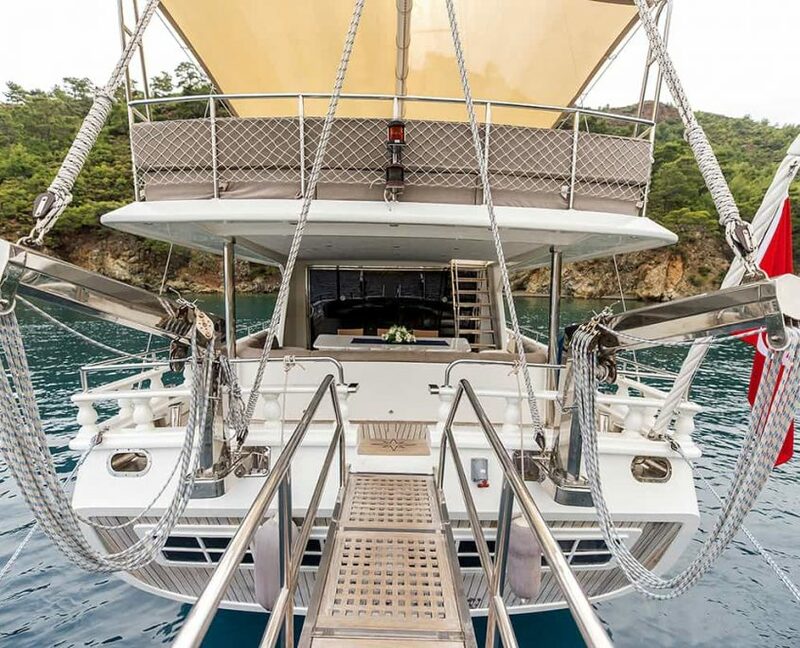 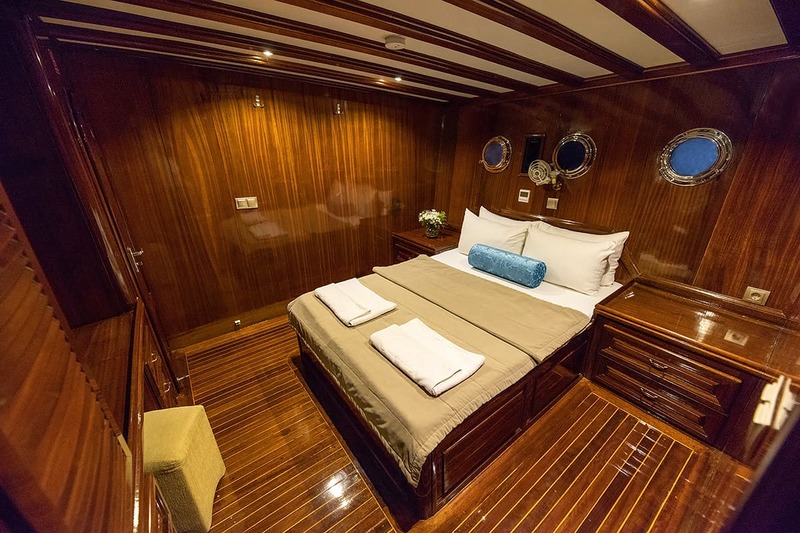 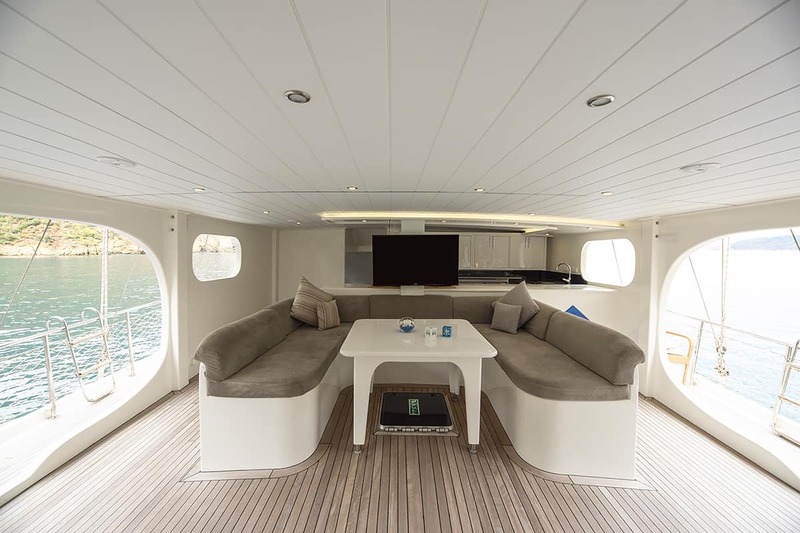 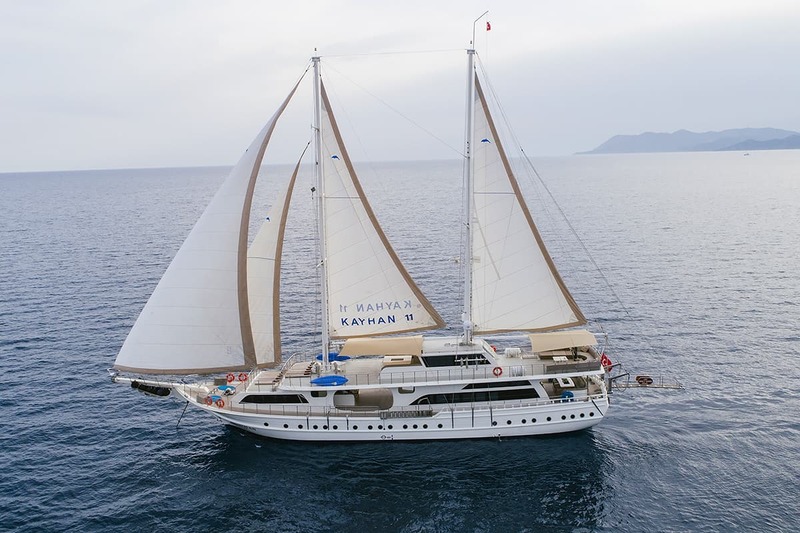 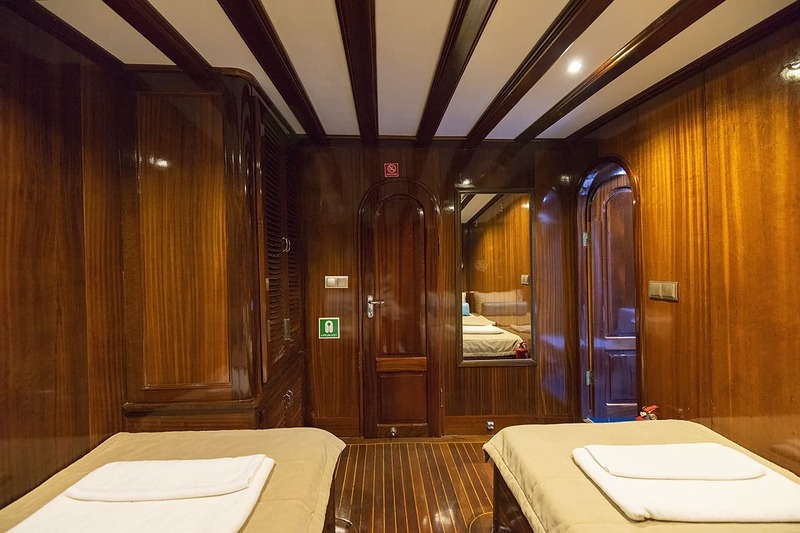 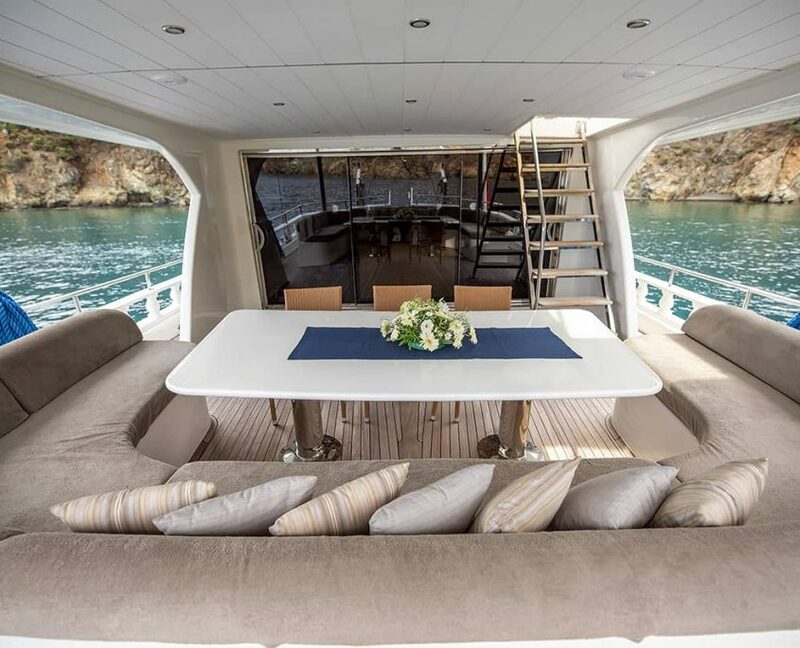 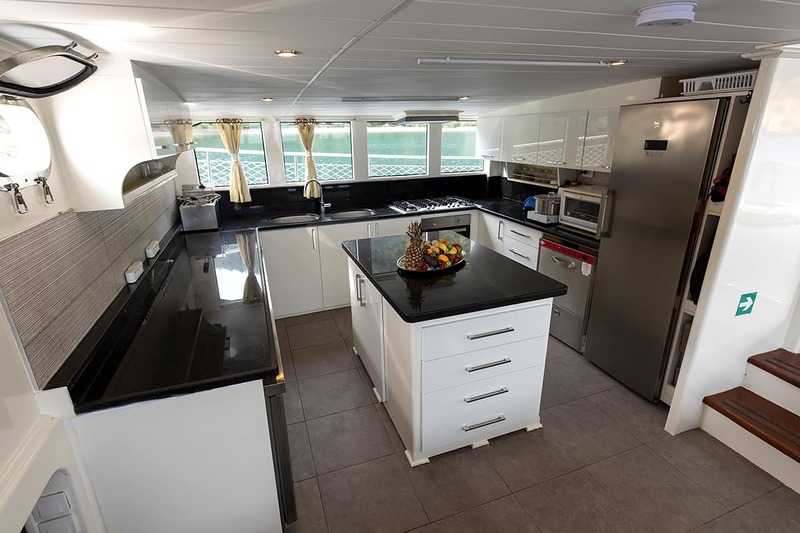 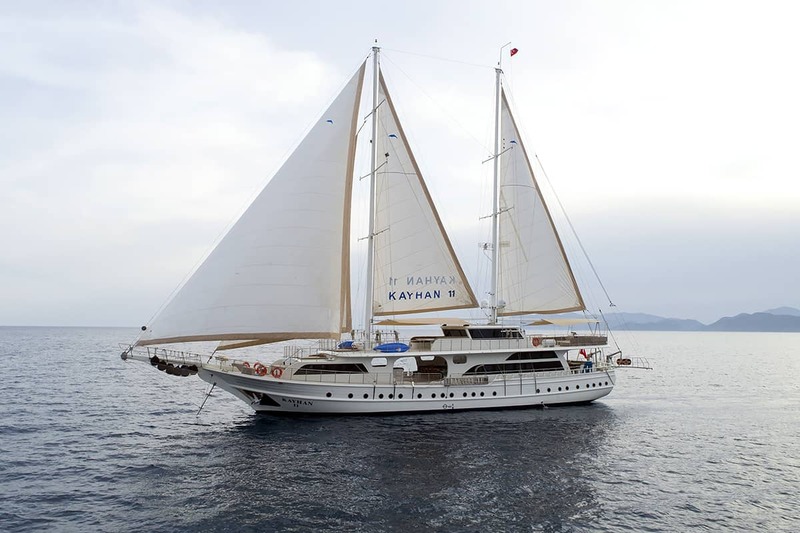 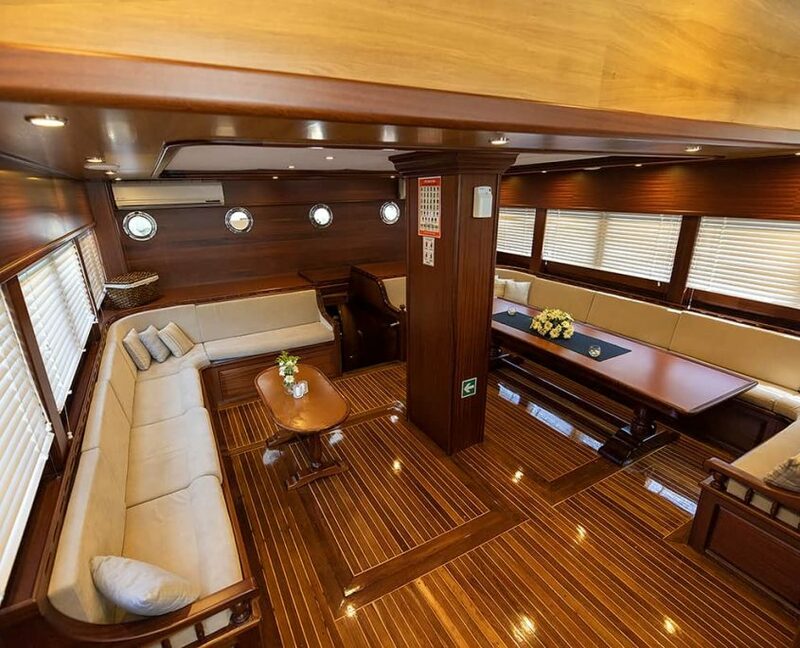 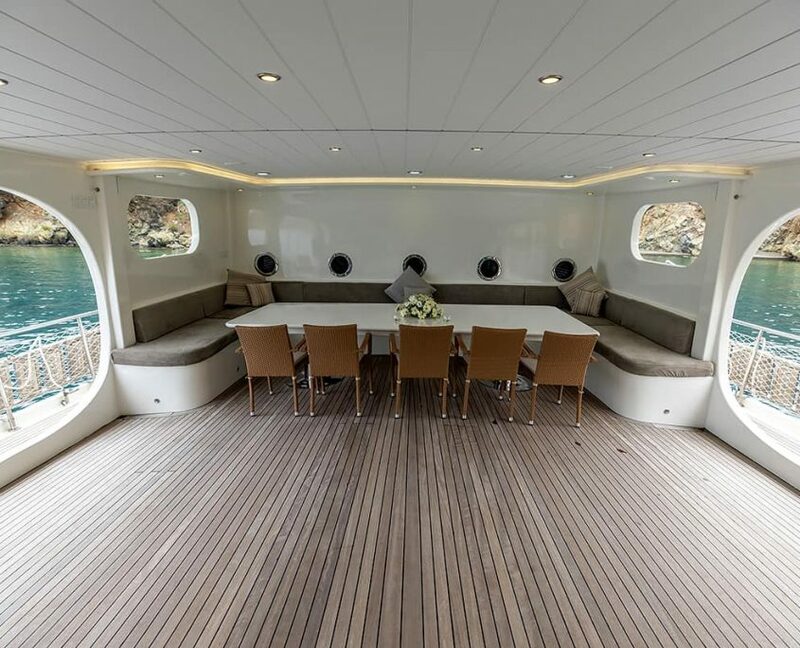 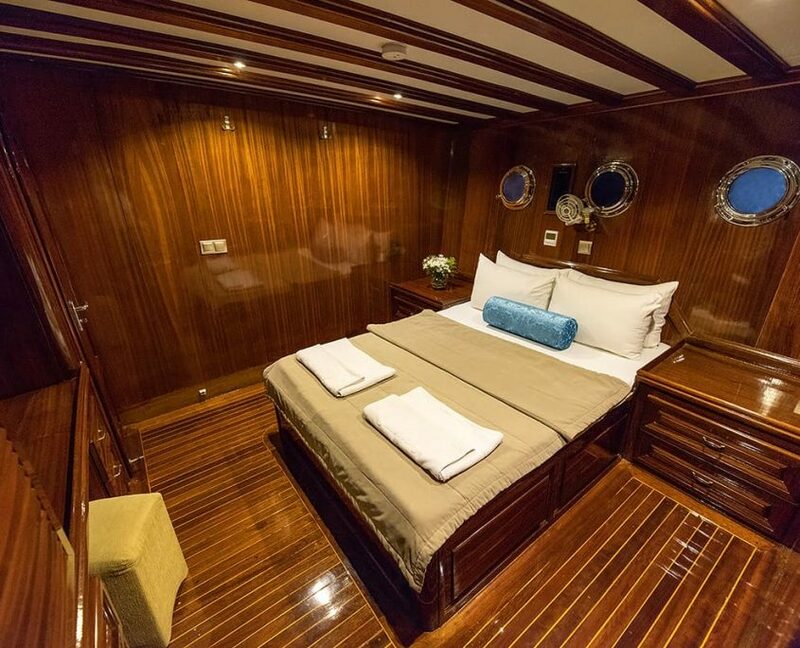 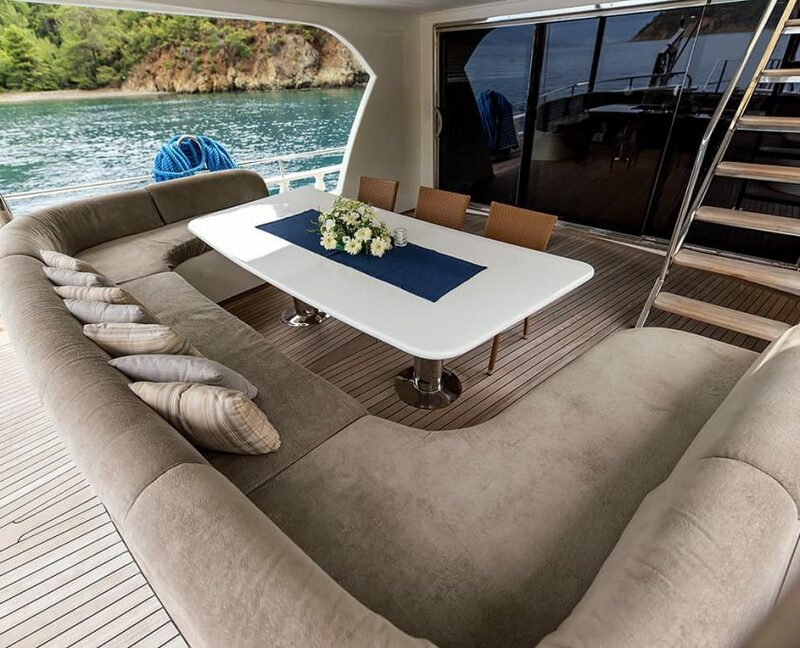 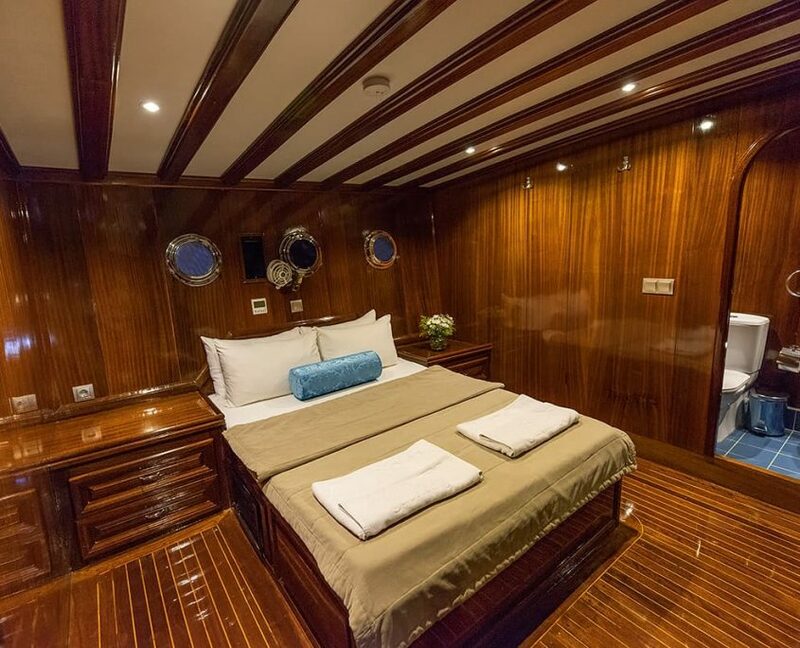 Built in 2002 she is able to accommodate 20 guests in 6 double and 4 twin cabins. 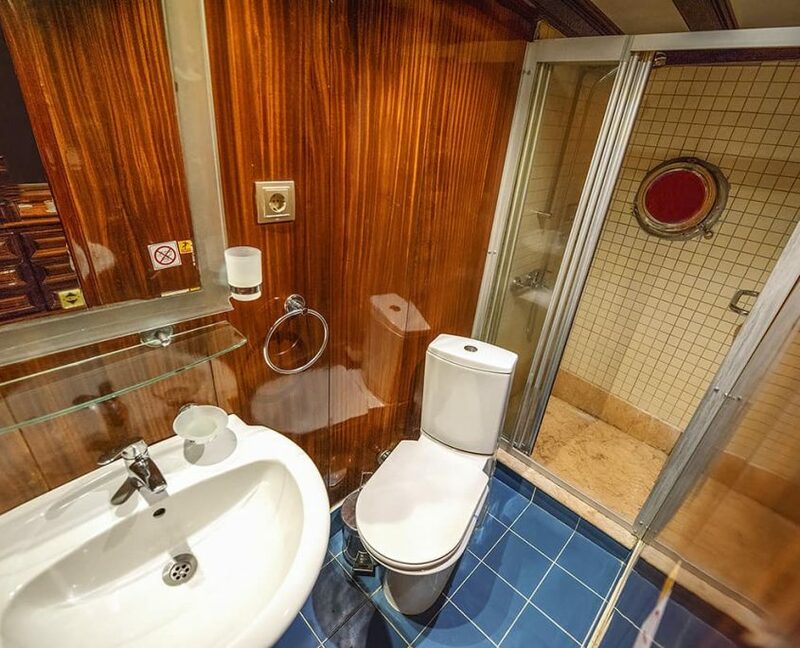 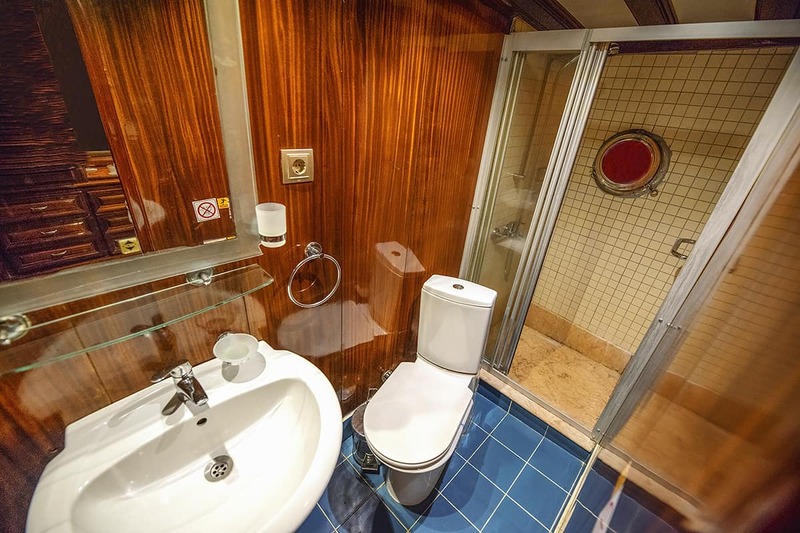 All cabins have private bathrooms with box showers, air conditioning, a TV and DVD player. 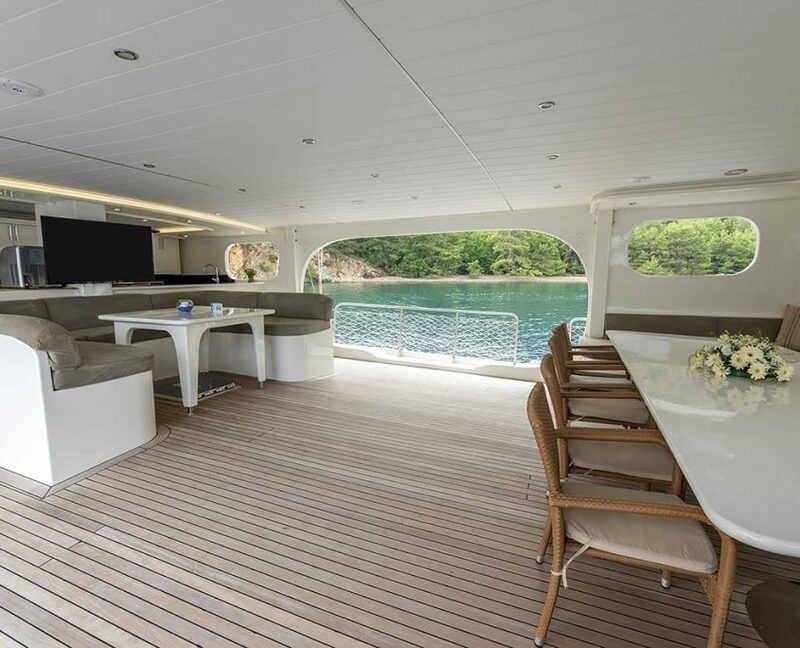 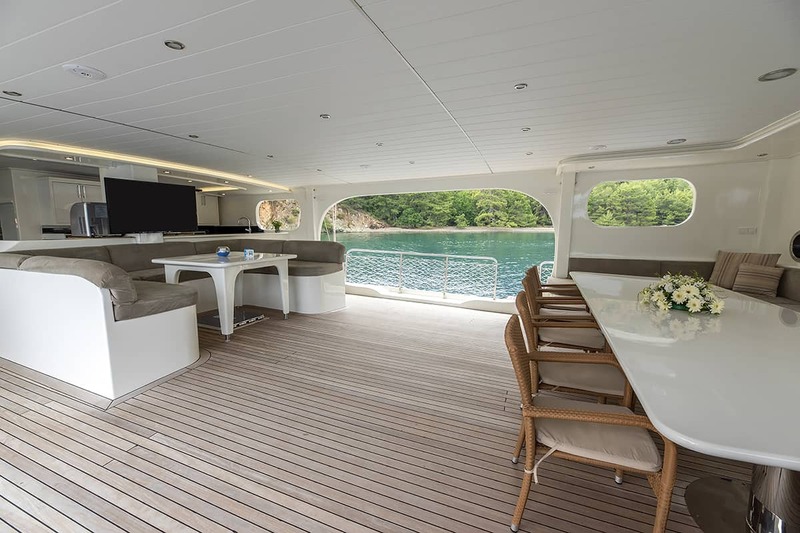 There are two dining areas; one indoors and one al fresco while on decks there are comfortable cushions and sunbeds for all. 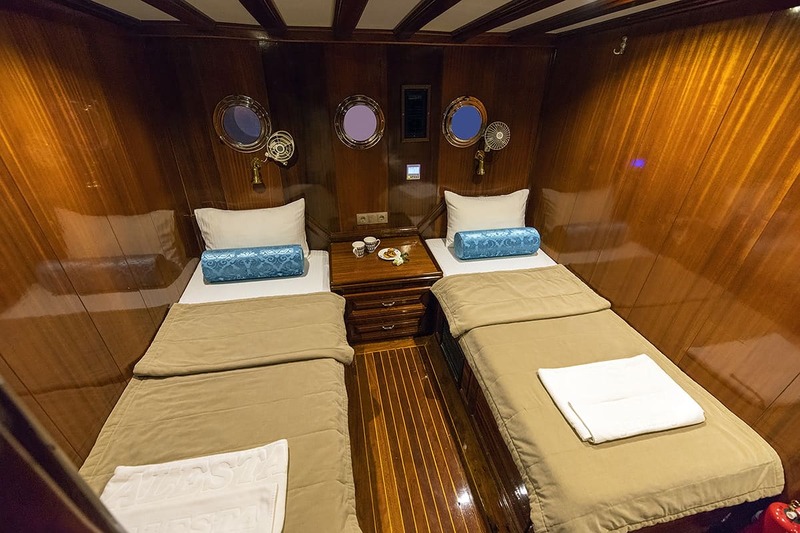 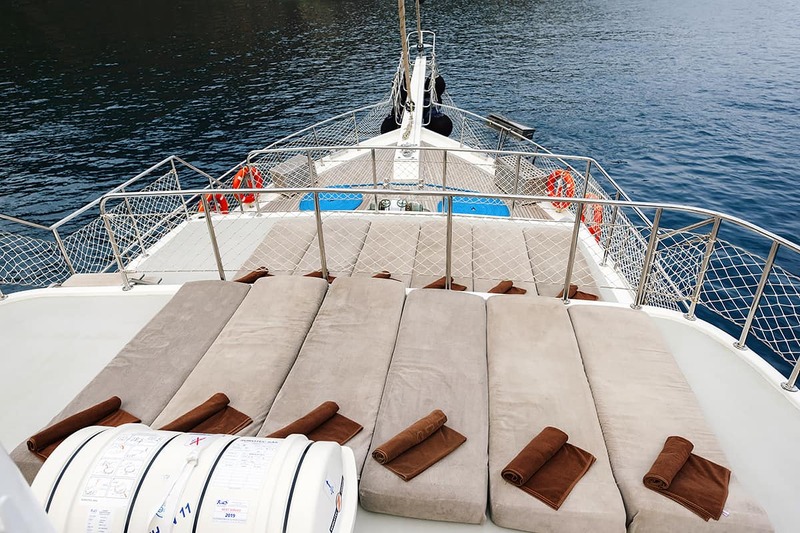 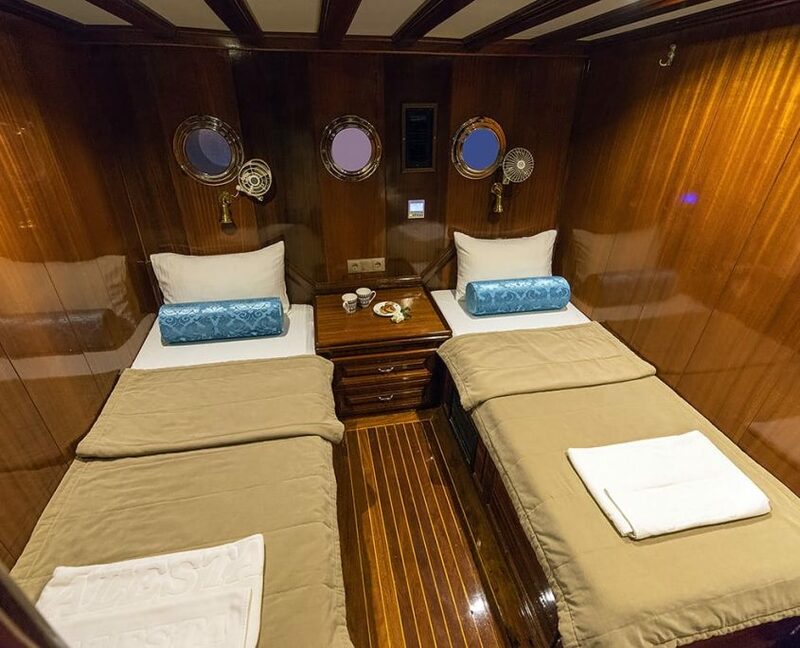 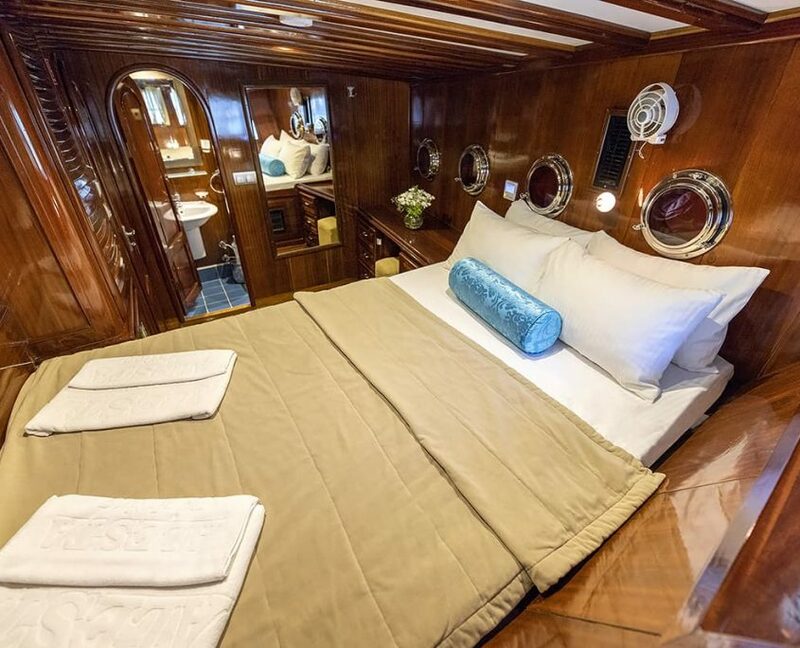 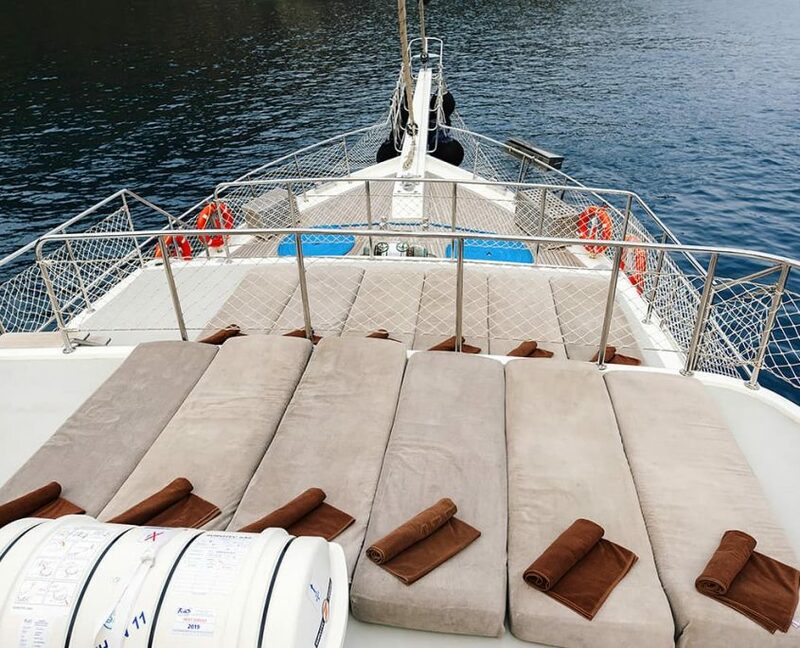 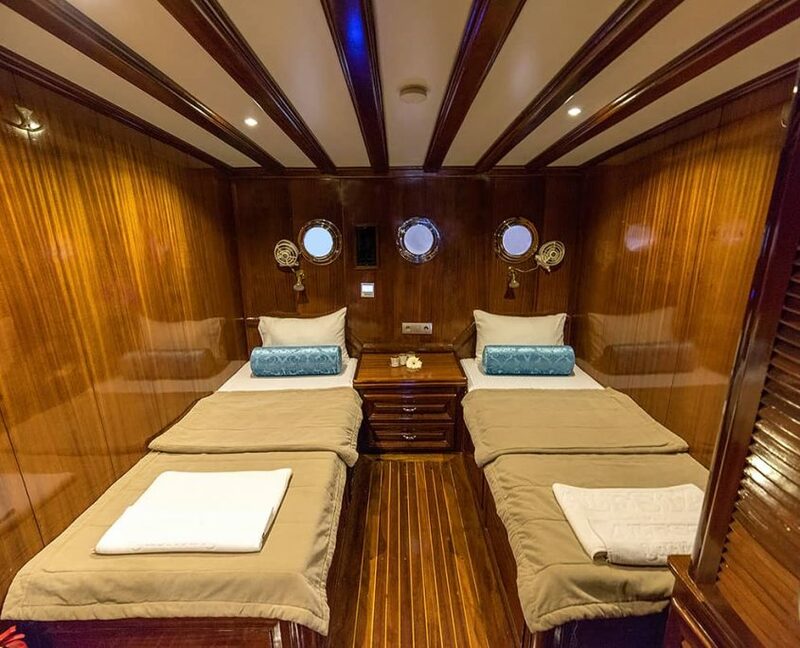 Five crew members guaranteed great service, great food, and with a range of leisure equipment guests will definitely have best time on board in Greek and Turkish waters.